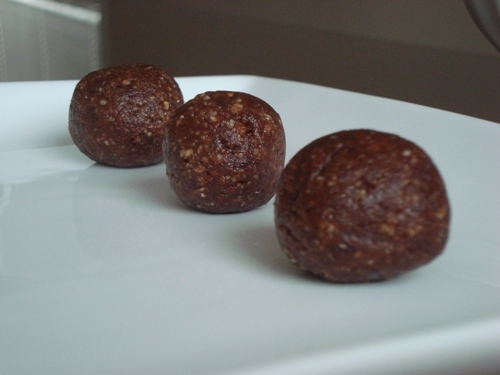 Far healthier than almost any energy bar that you can buy in a store, these energy balls are full of vitamins, minerals, and natural compounds that are perfect for providing a quick boost of energy. Because these energy balls are made out of fiber-rich whole foods, eating just one or two can be surprisingly filling - quite the contrast when you consider that most folks have no trouble eating half a dozen or more mini-donuts in one sitting. 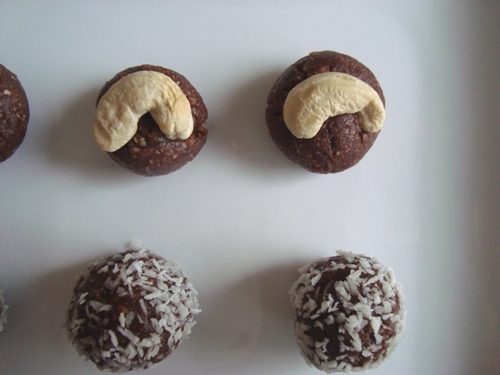 Let's take a step-by-step look at how to make these decadent and nutrient-dense energy balls. 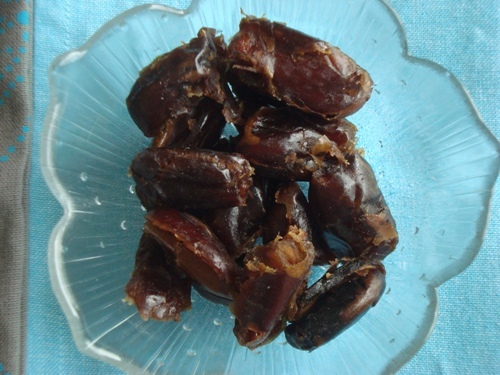 To start, count out about ten dates and place them in a bowl. Soak the dates in water. If you think to do this an hour or more in advance, it's fine to use room temperature water. If you're pressed for time and only have a few minutes for soaking, use hot water. The idea is to soften the dates so that they're easily blended into a soft paste. 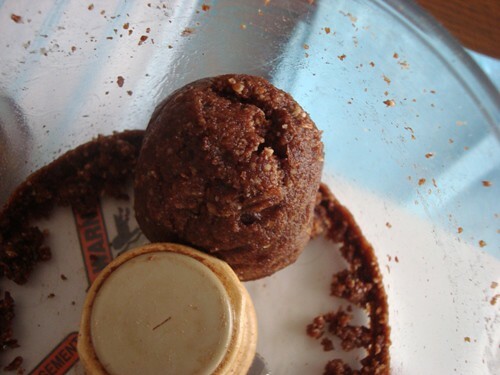 Measure out a cup of raw pecans and put them in a food processor. A strong blender might also work, but for this recipe, a food processor works best. If you have trouble digesting nuts, soak them in water overnight, strain, and dry with a towel before proceeding. Process pecans on low or using a pulse setting until they're nicely ground. You don't want to make pecan butter here - you're looking for nicely ground pecans. Add a heaping teaspoon of quality cocoa powder. If you don't enjoy chocolate, it's fine to skip this step. 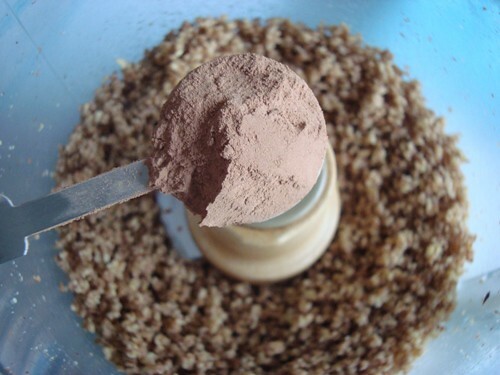 Blend or pulse for another few seconds to bring ground nuts and cocoa powder together. Add six soaked and mildly crushed dates to the mix. It's best to add a little water to this recipe to create proper texture. A good way to add just enough but not too much water is to lightly shake the dates as you get them out of their bowl of water, give them a gentle mush with your fingers, and add them slightly wet to the ground pecans. You want the texture to be such that you can pinch off teaspoon-size chunks and roll them up with your palms into bite-size balls. 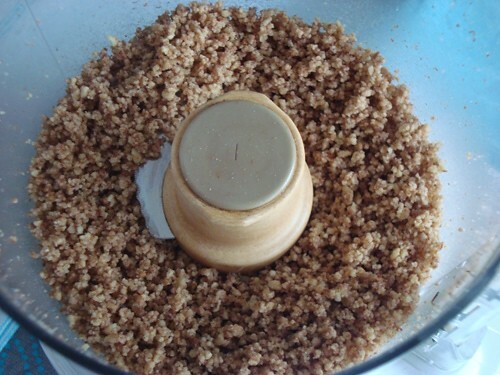 If need be, add another mushed up date or two, but always be conservative in adding extra dates, as once the mixture gets too moist, it's very difficult to fix by adding more nuts. Please note that the mixture doesn't need to come together as a big ball as shown above. As long as you can pinch off small amounts and roll them up into balls that remain intact, you're good to go. 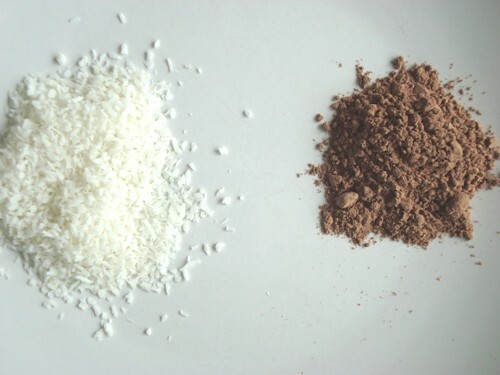 For some variety, bring out some dried coconut, cocoa powder, or any of your favorite raw nuts and dried fruits. 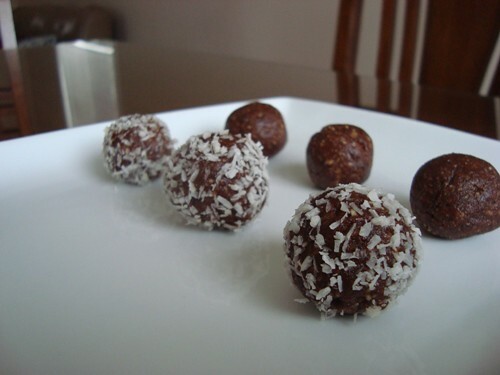 On this particular day, I felt like putting a nice coat of coconut and raw cocoa on our energy balls. Please note that because we already added cocoa powder to the pecans in the food processor, adding an extra coat of cocoa powder gives these energy balls quite a rich, dark chocolate-like flavor. If you're more of a milk-chocolate person, you probably won't want to add this extra coat of cocoa powder. Once you're done making your energy balls, you can enjoy them right away, or keep them covered in the refrigerator, where they'll stay fresh for at least a few days. If you have a few dates, nuts, and other ingredients left over, bring them together in the food processor and see what turns up - we've discovered some of our favorite combinations doing just this with leftovers - a good example of such a mish-mash is dates, almonds, coconut shreds, and goji berries. Please note that for different types of nuts, you'll have to adjust the number of dates you use to create a "cookie dough" that can be rolled up into these energy balls. For example, almonds release less natural oils than pecans, so for almond-date energy balls, you need to use about 9 or 10 small soaked dates for each cup of raw almonds. If you have your own favorite recipe for healthy energy snacks, please consider sharing in the comments section below. 1. 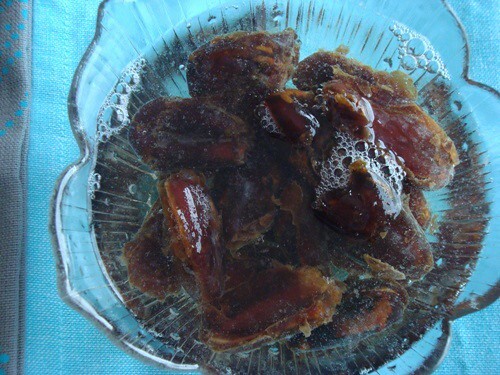 Soak the dates in water. If you think to do this an hour or more in advance, it's fine to use room temperature water. If you're pressed for time and only have a few minutes for soaking, use hot water. The idea is to soften the dates so that they are easily blended into a soft paste. 2. Measure out a cup of raw pecans and put them in a food processor. A strong blender might also work, but for this recipe, a food processor works best. 3. Process pecans on low or using a pulse setting until they're nicely ground. 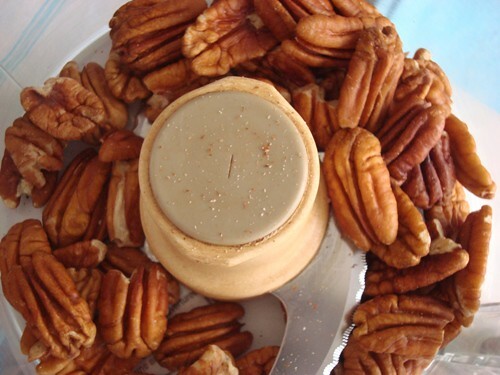 You don't want to make pecan butter here - you're looking for nicely ground pecans. 4. Add a heaping teaspoon of quality cocoa powder. If you don't enjoy chocolate, it's fine to skip this step. 5. 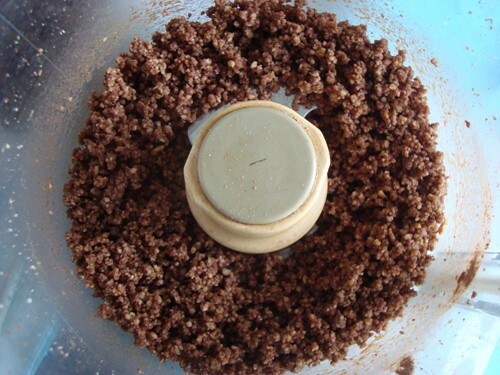 Blend or pulse for another few seconds to bring ground nuts and cocoa powder together. 6. 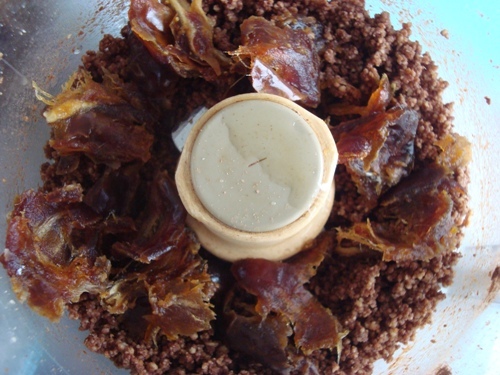 Add six soaked and mildly crushed dates to the mix. It's best to add a little water to this recipe to create proper texture. A good way to add just enough, but not too much water is to lightly shake the dates as you get them out of their bowl of water, give them a gentle mush with your fingers, and add them slightly wet to the ground pecans. 7. Process on low or use the pulse setting until the dates and pecans become together into one mass. 8. 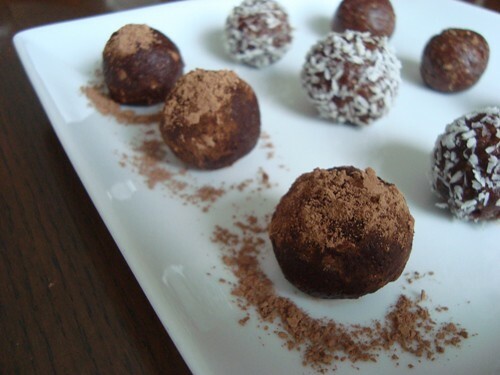 For some variety, roll balls in dried coconut, cocoa powder, and consider adding raw nuts and dried berries on top before serving.